Sandals is scheduled to open five all-new, stunning, luxury included over-the-water suites at its Sandals Royal Caribbean Spa Resort & Offshore Island in Montego Bay later this year. These Over-The-Water Suites are a first-of-its-kind in the Caribbean. 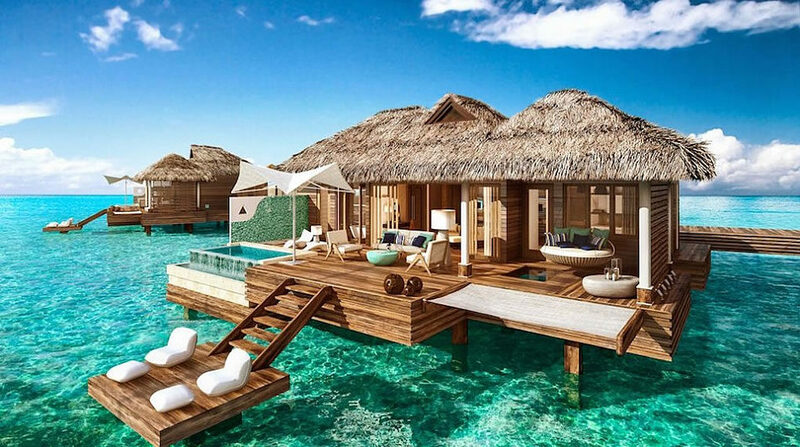 Reminiscent of a Tahiti–style bungalow, these gorgeous over–the–water suites convey an intimate connection to the Caribbean Sea. Announced in 2014, these suites feature floating water hammocks to private glass floors —your suite delivers an immersive journey of the Caribbean’s finest turquoise waters and rich marine life. Plus, guests can enjoy private boat transfers to and from the resort – all included. The suites are now on sale for arrivals beginning November 16, 2016. Each of the suites will feature a private outdoor Jacuzzi tub and shower, a hammock for two hanging over the water, and steps leading from the sundeck straight into the ocean. The breathtaking interiors will boast 1,600 square feet of space, with a large walk in shower and indoor soaking tub. You don’t even need to step outside to appreciate the Caribbean’s best crystal-clear waters. 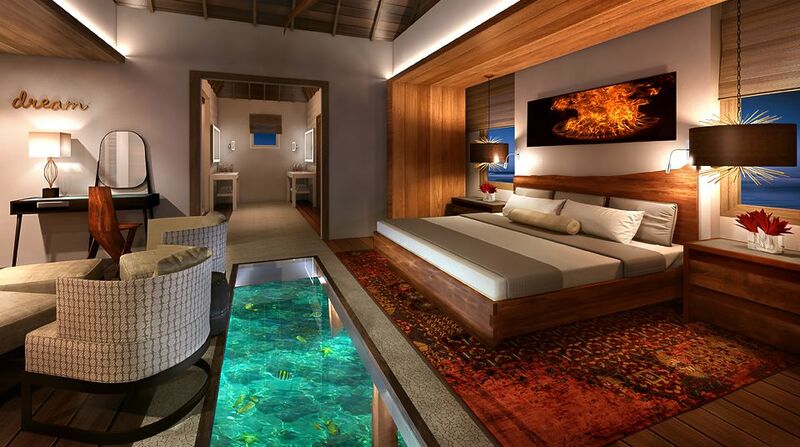 With see-through glass floors, you can experience the ocean from the comfort of your luxurious suite. Lit water ensures you can enjoy the sea anytime day or night. The service of a professional butler will ensure you never have to lift a finger and can instead embrace the beautiful scenery around you. The resort’s private island, the setting for the fantastic new suites, is located moments from the shore of the main resort, and features an authentic Thai restaurant and casual beachfront grill, a pool with a whirlpool and swim-up pool bar, and a secluded private beach. A first-of-its-kind in the Caribbean, sure to be a sensation, these innovative luxury over-the-water suites will change the all-inclusive game.